OTTAWA -- A family of Syrian refugees in British Columbia got a tax bill for $27,000 after the Canada Revenue Agency asked the parents to prove their children live with them in Canada -- by getting a letter from their school in July. The private group that sponsored both families has raised concern about the way the tax agency dealt with these refugees, which led to one family having its benefits halted and a government demand that they repay money they'd already received. Leona Etmanski of the refugee support committee at St. Philip's Anglican Church in Victoria, B.C., says the refugees were asked to prove their children were still living and attending school in Canada, but the documentation they had to produce was difficult for them to gather. 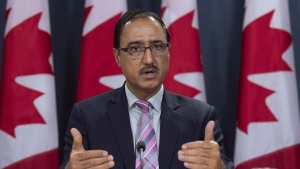 Canada Revenue Agency (CRA) officials told them to provide a letter from their children's school verifying the children were enrolled, but one of the families was asked for this information when school officials were off work for the summer. They were also asked for a letter from their landlords, but due to B.C. 's overheated housing market, the families had moved and tracking down their original landlords for paperwork was challenging. When the church settlement agency, which is partially funded by the federal government, asked if its members could provide confirmation of the families' ongoing presence in Canada instead, the CRA said no, Etmanski says. "I think there could have been other ways for them to gather the information," she said in an interview Monday. "Could not the settlement agency be the guarantor, because they are the settlement worker from the day they arrived in Canada?" she asked. "Or could not a letter from the sponsorship committee be sufficient to guarantee that they verify that this family has indeed stayed in Canada with their children? There must be better ways, other than gathering information from landlords and school principals, specifically in the summer months." "What are the odds -- the two families that our committee has sponsored get the audit letter?" 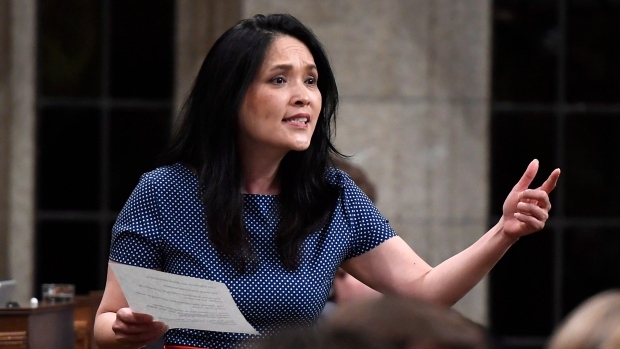 NDP immigration critic Jenny Kwan brought the issue to the floor of the House of Commons, raising concern about the CRA targeting refugees rather than focusing on "fat cat CEOs" and corporate tax-avoidance schemes. "It's very alarming that CRA is going after these refugee families," she said in an interview. "The government keeps saying that they put $1 billion into going after people who evade paying their taxes and so on -- is this what they're doing with their billion dollars?" "Let me be clear, the CRA does not target refugees nor any other subset of the Canadian population with their benefit review process," said Emilie Gagnon, press secretary for National Revenue Minister Diane Lebouthillier. "The CRA works closely with Immigration, Refugees and Citizenship Canada to ensure that all benefit related questions are answered and also aims to quickly resolve any problematic cases that arise."